LG is one of our favorite Android phone makers right now. The LG G3 can hold its own against the best smartphones around, but you may still occasionally run into trouble. We’ve identified some common LG G3 problems and pulled together a list of workarounds or potential fixes to help you address each one. A lot of LG G3 owners have been surprised to find that games and apps have been disappearing. Things they’re sure they had installed, but haven’t used in a while just vanish. You’d be forgiven for being skeptical when behavior like this is described as a feature, but it really is this time. The LG G3 is equipped with Smart cleaning and so anything you haven’t used in a month is liable to be cleaned away. Go to Settings > General > Smart cleaning and you’ll find Temporary files, Download folder, and Idle apps categories that it wants to clear. You should set the check interval by tapping the Menu key in Smart cleaning to get the Settings and then choose the Notification interval and Idle time period. Quite a few people have had trouble with regular voice calls on the LG G3. There are reports about callers on the other end being hard to hear and about LG G3 owner’s voices fading in and out. Try switching to the speakerphone and then back again. This may temporarily fix the issue. This might be down to the “Ok Google” voice detection. Go to Settings and tap on Google under Accounts, then Search > Voice > “Ok Google” detection, and turn it off. Make sure that your microphone and speaker are clean and clear of debris. Try blasting some compressed air in there. Try going to Settings > Call and turn Voice enhancement on and make sure that Noise suppression is also checked. If they are already checked then try toggling them off and test again. You might have to seek out a replacement handset if the problem persists. Make sure that it’s not just low power causing the issue via Settings > Battery > Battery saver where you can either turn it off or just uncheck Bluetooth. Refer to your Bluetooth accessory or system instructions and make sure you are pairing correctly. You may need to enter pairing mode or hold down a button. Try deleting old Bluetooth profiles on the accessory or car system in case you’ve reached a limit. Go to Settings > Bluetooth on your G3, long press on the device, and then tap Forget. Now set the connection up again from scratch. Go to Settings > Bluetooth, tap the gear icon next to your device, and set Connection access to Automatic (Note: this doesn’t seem to be an option with every device). If it’s refusing to connect automatically you could always try something like the free Bluetooth Auto Connect. 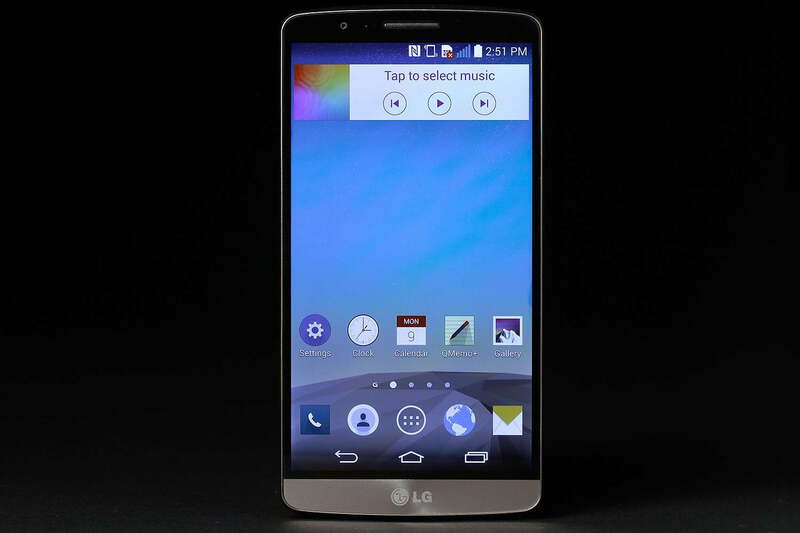 Some LG G3 owners have found that the auto-rotate feature stops working randomly. It might be after a fall, or it might just stop working for no apparent reason. It might be that the sensor has just gotten stuck, especially if this happened after you dropped the phone. You can check with Advanced Tools by analyzing the sensors or try running a game that uses the accelerometer. The first thing to do is go to Settings > Display and make sure Auto-rotate screen is checked. Next, try turning the LG G3 off and on again. If you’ve confirmed that the sensor is stuck then there are a couple of solutions that people have reported online. Try taking the back cover off and putting it on again. If you’re feeling brave you might try knocking the LG G3 on the table or dropping it from a low height (make sure you have a case on it). This solution sounds risky, but some people report it has worked for them, just be careful. It might be worth going to Settings > Gestures and running through Motion sensor calibration. Error: Unfortunately, VZWAVSService has stopped. A lot of LG G3 owners have been getting this error message popping up repeatedly. There’s no further explanation about what it is and it just keeps popping up. It’s apparently related to a Verizon service, possibly Verizon Address Verification System Service for matching addresses to credit and debit card purchases; it seems to be some kind of a conflict with a Google + update. Go to Settings > Apps, scroll over to the All tab and find the Google + app, then tap on Clear data and Clear cache. You could also try Uninstall updates in the Google + app in Settings > Apps. You can deactivate VZWAVSService through the application manager, or root your LG G3 and use something like Titanium Backup to do it. Some people have had trouble when connecting their LG G3 to external speakers or a car stereo using a double-male 3.5mm Aux cable. Sometimes it flat out refuses to connect and keeps playing through the phone speakers, other times it connects, but it plays loud pops between tracks, and there’s audible interference or noise during quiet periods. Try rubbing the end of the cable with the music playing on the LG G3 until it detects the cable then quickly plug it into the stereo. Try using a different music app and switching between two music apps. Some people report success after installing SoundAbout to tweak the audio profiles. Check for a software update in Settings > About phone > Software information. Try buying another AUX cable. Some people have got it working by using a different cable. There have been many complaints about the LG G3 taking a long time to charge up. It ships with a 1.8A rated charger and so it shouldn’t really take more than two hours to fully charge the battery as long as you aren’t using the phone while it’s charging. Remember that you might get greater variance in the first few days as your new phone beds in, so give it a few charges before you panic. Make sure you’re using the charger and cable that came with your LG G3 and that you’re plugging into a working wall socket. Try a different charger and cable, just in case there’s a fault with what you have. Try to find one that’s rated the same or higher. If you’re still having problems you might have to think about returning it and asking your retailer, carrier, or LG for a replacement. Verizon FiOS offers no just fiber internet, but TV and home phone service as well. See what kind of problems, issues, and trouble other Verizon FiOS users have reported before you decide to sign up for the service.